I made a new youtube tshirt. :), originally uploaded by pinkestblack. 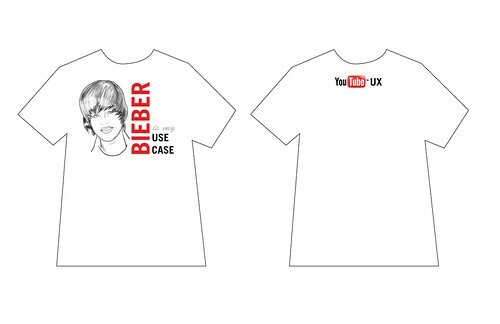 After bringing up Justin Bieber about 30 times in a single meeting, I decided to make this tshirt for fun. First Twilight, and now Justin Bieber? You seem to have a thing for tween crazes.